You rarely see them on a flower. 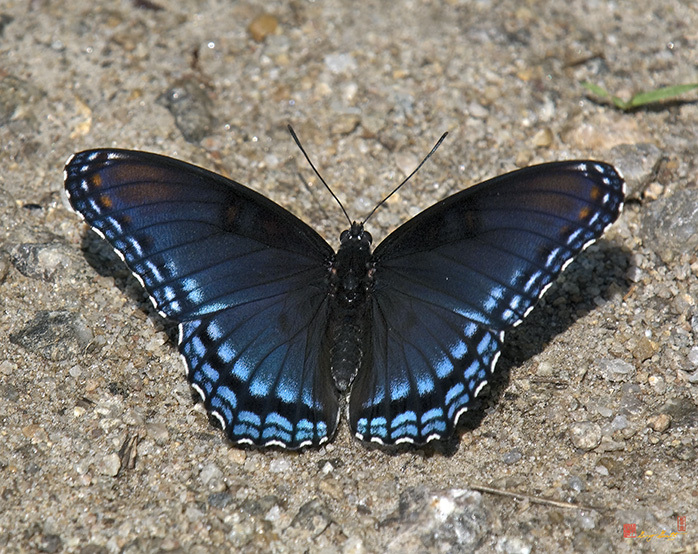 Red-spotted Purple Butterflies are most often seen sitting on bare patches of earth or on plant leaves rather than around flowers and are much like the Viceroy in this behavior. 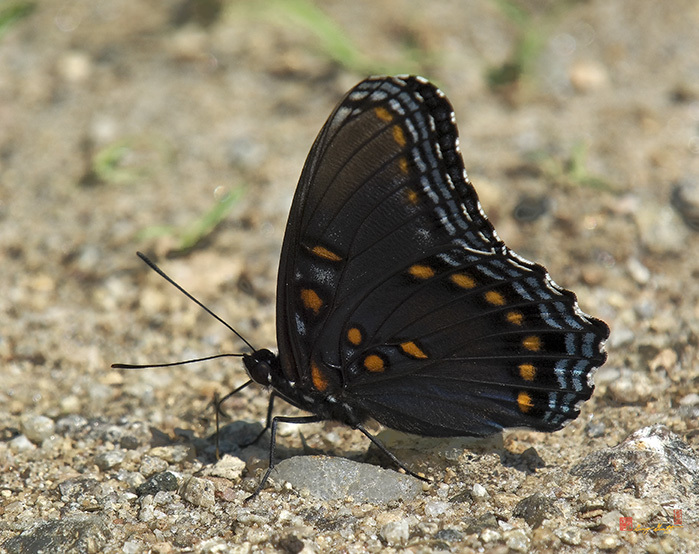 The males spend a lot of time "puddling", that is imbibing mineral-laden water from puddles, to obtain minerals to pass along to the female at mating time.